HaCon provides cutting-edge software solutions for public transportation, mobility and logistics. Our three business units, HAFAS, TPS and Consulting, provide more than 370 highly qualified specialists and 35 years of experience for your success. Since 2017, HaCon has been a member of the Siemens family. Headquartered in Hannover, Germany, HaCon also holds offices in Berlin, Paris, and London. HaCon empowers transport operators to provide Demand Responsive Transport – fully integrated with their existing transit networks. 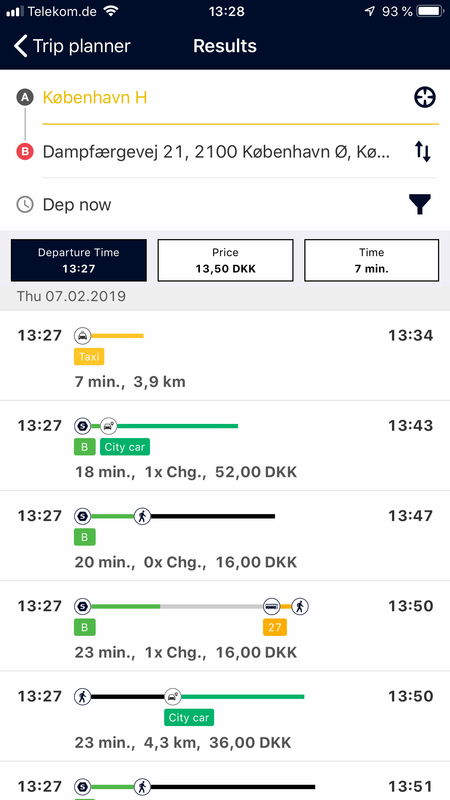 For Rejseplanen, Denmark’s national trip planner, HaCon has integrated DRT services into their multimodal MaaS app MinRejseplan, including convenient booking with just a simple click. Together with its French partner and DRT expert Padam, HaCon continues to enhance the passenger experience by seamlessly integrating on-demand services with the trip planning system HAFAS.